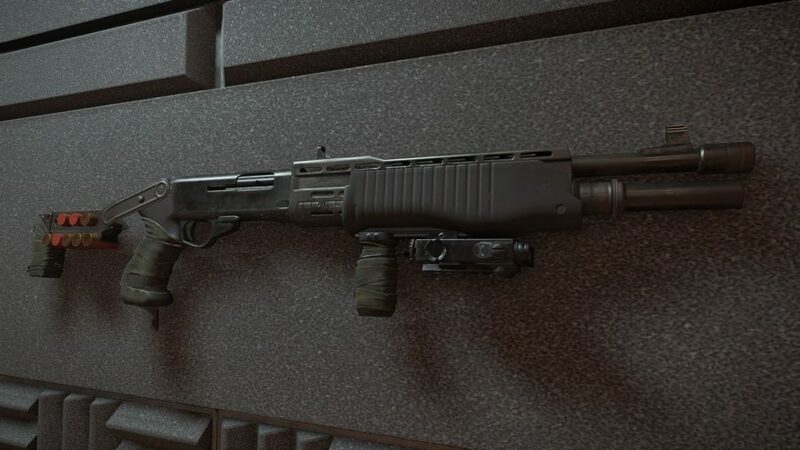 Looking to unlock the The Division 2 Sweet Dreams Exotic shotgun? Any player who has been put to sleep by the boomstick’s downgraded version known as the Lullaby will want to know how to get this powerful close-quarters Exotic. The Sweet Dreams shotgun is a powerful upgrade to the Lullaby Exotic, and won’t require you to purchase the Capital Defender pack. Like its predecessor, Sweet Dreams comes with the Evasive talent, but the similarities end there. The Lullaby talent is replaced by the Sweet Dreams talent, and the Sandman talent is a fresh addition, too. The Sweet Dreams talent grants a 35% boost to armour if you land a melee attack after changing to the shotgun. The Sandman stops enemies you hit with Sweet Dreams from healing or applying armour kits. Finish them off when the Sandman debuff is active, and you’ll get 35% of your armour back. The perks here aren’t amazing as they require you to be in close range. That’s problematic as if you’re rushing an enemy with a shotgun in hand your instincts will tell you to shoot them rather than use a melee. However, the stats are solid and there could be some interesting PvP builds to be adapted from those talents if you like to play hyper-aggressive. In terms of raw stats, Sweet Dreams pumps out 100k worth of damage if you acquire it in world-tier 4, and it fires at 70 rounds per minute. Putting it lightly, this thing pumps out a lot of damage, and here’s how to get it. The Sweet Dreams belongs to The Division 2’s Outcasts faction, which means you’ll need to defeat a named boss from that group to pick it up. We recommend the DCD Headquarters mission as you can trim your mission time to 15 minutes per run. You can, however, also get the Exotic from the Potomac Event Centre and Roosevelt Island missions, too. Do keep in mind though, you’ll need to kill the final boss in all these missions to have a chance at picking up the Sweet Dreams Exotic. Getting this Exoitc will be a bit of a grind as there’s only a chance it’ll drop from any named Outcast boss. 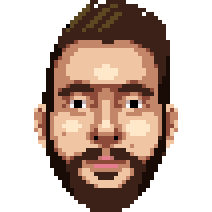 That said, if you increase the difficulty on the mission to Challenging then you’ll get more loot per boss kill – ergo, more loot means a higher chance to snag the Sweet Dreams. That said, don’t overdo it if you’re not comfortable with the difficulty as you’ll only hinder yourself in the long run if can’t complete the mission. 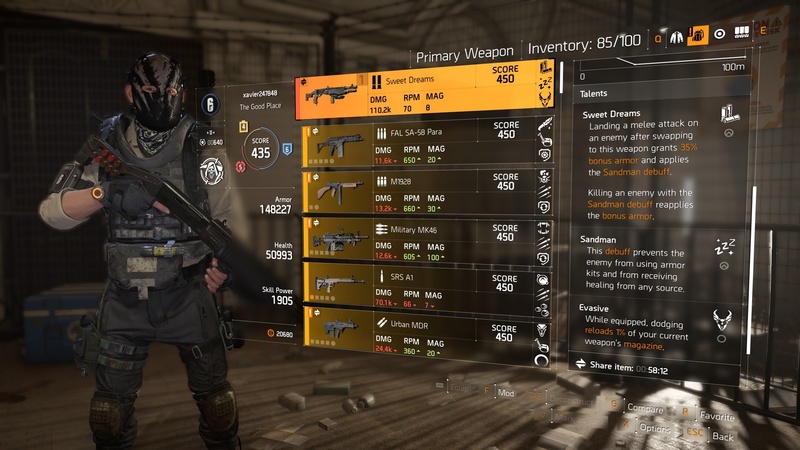 As Harry points out in his The Division 2 Merciless Exotic guide, you can also enlist the help of friends to speed this up, as item trading means that anyone can hand theirs over if they’ve gotten a duplicate. And there you have it, our guide to farming the Division 2’s Sweet Dreams Exotic as efficiently as possible. The perks may not set the game alight, but the Sweet Dreams base stats genuinely make it something you’ll want to add to your arsenal.